Follow these at your own peril ! A totally French site about gemology and rocks. Sections on Gems, Minerals, Fossils, Jewelry. Has a very French flavor, from the backgrounds to the fonts to the jewelry itself. Like a little trip to France! With nice mineral images, from The Mineral Gallery. Everything You Need to Know About Getting Started With Rock Tumblers. OK, not the Ultimate Guide, as advertized, but it is a great starter guide. Enjoy. I get dozens of requests for links to sites that at first blush look just like this one and ... blah, blah, blah ... But on an impulse I looked at it ... and to my shock, I loved this site. The Reviews were brilliant. They say: Getting the real scoop about diamonds isn’t easy. Who can you trust? Certainly not the salesperson trying to sell you a more expensive diamond. You also can’t trust the website that wants to sell you the diamonds that they specialize in. Diamonds Pro is here to tell you the things that nobody else wants to tell you — our goal is to teach you how to spend the least amount of money possible while buying a diamond that looks just as great (if not greater) than the more expensive stone they want you to buy. Who'd'a guessed there were such things. Especially not me, with a background in the Legalize Gold movement of the 70's. But hey, Gold today, Pot tomorrow. No, no ... it's Gold Yesterday, Pot Today. Now there are dozens of competing gold IRA's. Here's a guide comparing them. Good Luck! The Gold IRA Guide gives tips to consumers on how to make a wise Gold IRA investment, examines the best rated Gold IRA providers, explains the benefits of investing in gold and answers some common questions. The guide is online and available to use and share at no cost. Good afternoon and greetings from Mrs. Ward's class! I hope you don't mind me reaching out to you like this. I'm currently in the middle of a class project and was hoping you might be able to lend a hand. My students and I are working to revamp our outdated class website by adding a comprehensive resource section for students, parents and even other teachers. One of my students, Amy, found your webpage while searching for resources for our "science" category. It's a great page that we will most likely be utilizing! And Another ... Hello and greetings from Delaware and Ms. Ward's classroom! I just wanted to say that, as a science teacher, I have been using your page with information on rocks and minerals (http://www.dendritics.com/scales/gem-links.asp) for my lessons. It's been useful; thank you for making it! It lists 40 common minerals and their uses, making it a handy reference guide. I thought your visitors might find it beneficial too. (Plus, I would love to show my student that the page he found is incorporated on your website...makes him feel special, haha!) Hope I could help! Over 300 pages of text and drawings on jewelry making, gemology and more. Categories: Starting to Make Jewelry, Tools, Construction, Casting, Stone Setting, Gemology, Surfaces, PR-Business, Critical Notes, Repairs, Recommended Books. Retired appraiser of Antiques, Gemstones, and personal property, Author of program Gemstone. The program covers over 650 minerals, and all gemstones. It is a compilation of formulas, data, and instructions for gemologist, mineralogist, and jewelers. Supplied information for The bench jeweler and appraiser as well as for the rockhound: the specific gravity, hardness, crystal system, refractive index, luster, fracture, cleavage, color, and chemical formula. Much of the basic data used in the Dendritics Automated Calculations page is courtesy of Bob Williams. Unfortunately, he has disappeared from the Internet. I fear he is dead. A great loss to the gem world if true. If you read this, Bob, please do contact me (dead or alive). Are You Thinking About Buying A Diamond? ... Protecting the Consumer since 1934 ... Contains such pearls of wisdom as this: One of the largest saltwater pearls still in existence is the Hope Pearl, first acquired by Henry Philip Hope in the 19th century. It is two inches long, and varies between 31/4 and 41/2 inches in circumference. It is on display at the British Museum of Natural History. Richard Messina was born in Italy in 1955. He has practiced the art of metalsmithing for the last 30 years. He is becoming widely known for his simple, clean forged work, so consistent with his philosophy that Less is More. The guiding principle of "form follows function" has led to innovative Hi-Tech earrings and forged pins and collars. Richard is currently absorbed in hammering precious metals. He works in his studio in Round Top, New York, with his partner Anne Landfield . Skylight Jewelers has been creating custom made jewelry & carved gems for over 20 years. Located in the historic district of downtown Boston, we specialize in wedding bands, engagement rings, and carved moonstone jewelry. We take great pride in our craftsmanship by signing each individual piece. Works are created in gold and platinum using a mélange of ancient, traditional, and modern techniques. As our gemstone knowledge and collections are varied and extensive, we are able to offer innovative and impeccable gems and settings. Objectives Of TGJTA ... To promote exports of gemstones and jewelry, including handicraft items made with silver and gold. Special emphasis is placed on products which represent the work of Thai gemstone cutters, designers, artists and craftsmen. Cute Java applet calculating cost of their numerous diamond-bearing designs for variations in diamond size and quality and your currency. Gemstone cutters from East Africa. Tanzanites! I always had a soft spot for tanzanites. Featuring a wide selection of exceptional, cherrypicked colored gemstones direct from the mines. Each gem even has a mining report included with it. Welcome to Polygon, the Jeweler's Information Highway! Gem Hut features a collection of natural gemstones from around the world. We will not display any type of artificial, synthetic or simulated stone. Our goal is not only to provide gemstones for sale, but also to educate and inform the buyer. This is a gemstone gallery which can be yours. As gemstones are sold, they are replaced, and new stones are added frequently. If you are looking for something in particular, we take requests and do our best to provide them. (New enlarged web page as of Nov 8, 1996). P.S. We use the Dendritics 100 everyday -- it's great! Flattery will get you everywhere. MDL is a diamond manufacturing and brokerage firm with offices in Antwerp, Tel Aviv and Toronto. We have combined the inventory of all three of our offices to better serve you, and to provide you with an unparalleled selection of polished diamonds. MDL is a diamond manufacturing and brokerage firm with offices in Antwerp (Belgium), Tel Aviv (Israel) and Toronto (Canada). Our extensive exposure to the international diamond markets allows us to source and locate a wide range of diamonds from I3 to internally flawless, from 0.005pt to 15.00ct, in all shapes. Our extensive house inventory allows us to service most jewelers across Canada and the United States overnight. Furthermore, MDL has signed contracts with the Government of the Northwest Territories and various affiliates, as well as the Dene First Nation, to supply North America with genuine Government certified Canadian Eskimo™ brand Diamonds. Montana Sapphires affordably set in sterling silver, gold -filled and karat gold in a rainbow of colors. Direct from the miner to you! Canadian Ammolite Jewelry affordably set in sterling silver and 14 K gold. This colorful & iridescent fossil is set into rings and pendants. Gemologica Jewelry Store Jewelry store offering a collection of earrings, rings, bracelets, necklaces and pendants for men and women. Includes jewelry crafted with gold, diamonds, gemstones, birthstones, stainless steel and titanium. 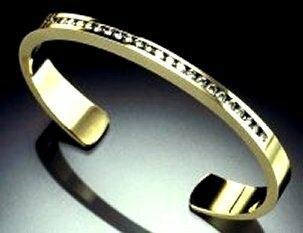 A great learning center that provides an abundance of information about many aspects of jewelry too. All about the famous Murfreesboro diamonds. For example, did you know that South African stones, which make up the largest block of beautiful stones are often cut with Arkansas Diamonds because they are 28% harder? These people have great meteorites, I got one from them at Tucson '96. Seven Weekday Planetary Gemstone Pendants. To register for your FREE (E-mail) "Astrological Gemstone Prescription" ... Pretty funky! Really pretty, these safes. Casoro Jewelry Safes provide the maximum security features to protect your most prized possessions. Our unique home jewelry safes have become popular with jewelry and watch lovers everywhere who appreciate designer styling, personalization and industry leading security. Can you identify these scales? They range from the common to the obscure to the obscene! Life is food, art is life everlasting. A fullness in your belly and a relief in your soul. As Marian Dioguardi, artist, says: I am an independently trained painter. My favorite teachers are Ed Stitt, Janet Monafo, Paul Rahilly and Barney Rubenstein, who have all contributed to my training. I paint still moments inspired by simple beauty in a simple way. I am a purist. Paint, panel, pallet knife. I am challenged by color and contrast, form and shape and the way in which objects occupy two-dimensional space. Two Listings (with reviews) of Website Hosts. See what others think of Yours!
. Your description of the links will make it easier still. Thanks.